Publications can also be paid for online by credit card: requests should be made by e-mail to iipp@iipp.it (specifying the amount and the reason for payment); a PAYPAL form will be forwarded in return which can be used for credit card payment of the book/s or periodical/s requested. New postal rates – the shipping costs are: for Italy, up to 5 kilos 8 euro, over 5 kilos 12 euro; foreign rates will be established based on weight and destination. 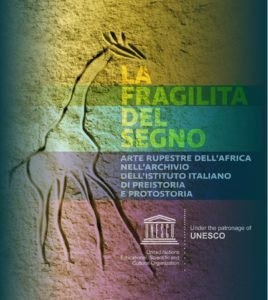 * The publication in digital format of the editorial products of the Italian Institute of Prehistory and Protohistory (IIPP) has been launched on the Casalini TORROSSA platform. The articles from the most recent issues of the Rivista di Scienze Preistoriche, the contributions published in the latest Atti delle Riunioni Scientifiche and in Studi di Preistoria e Protostoria Italiana and the most recent volumes in the ORIGINES series are already available for purchase.